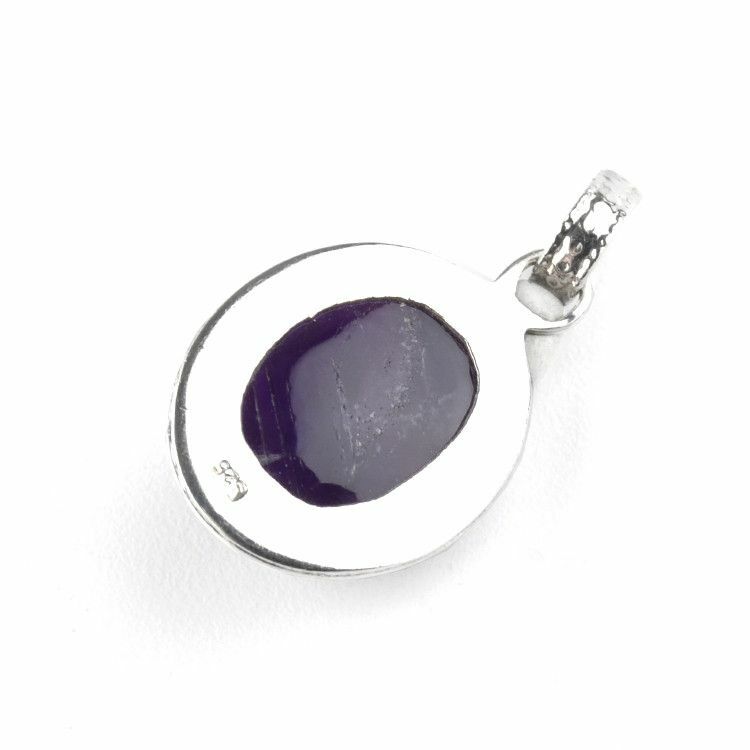 This deep amethyst pendant is very dazzling. 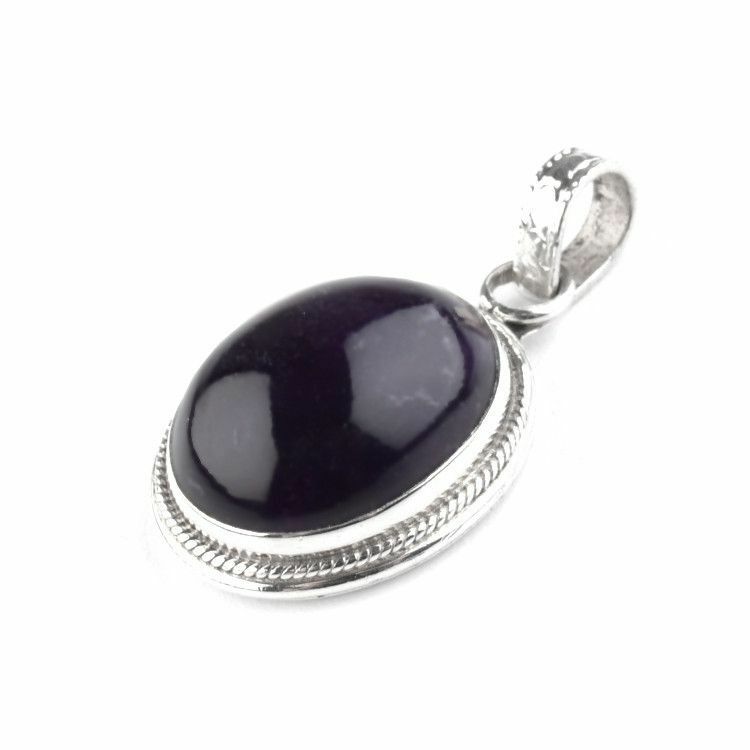 It is set in sterling silver and has a very classical design. 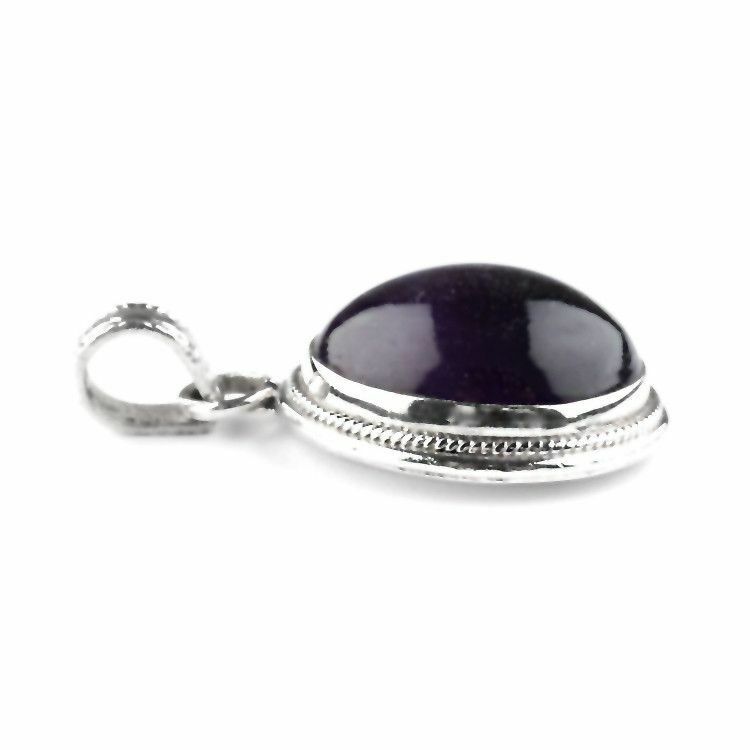 This amethyst cabochon is deep dark in color, but when you bring it to light and look through it, you'll see its true color. 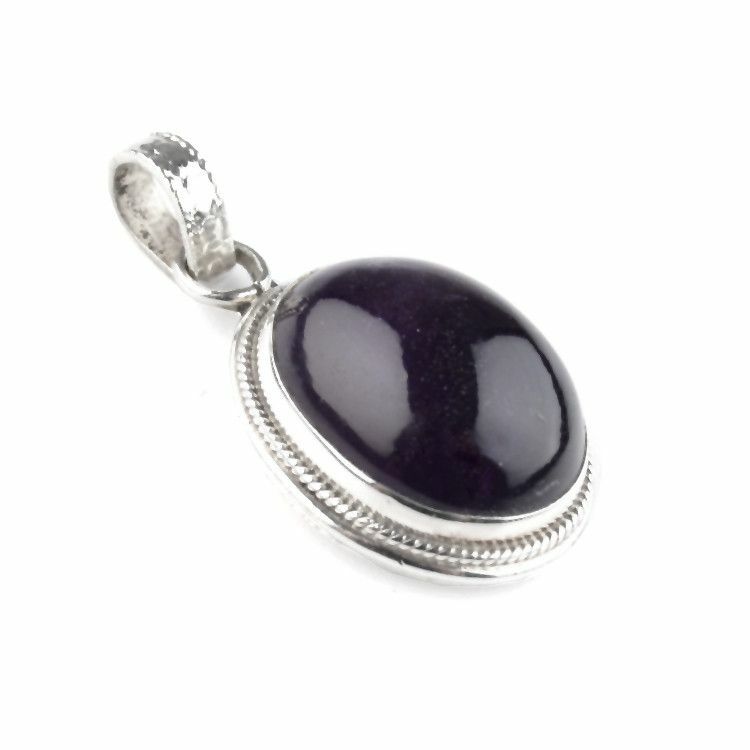 The hand-picked and polished stone has a sparkling look to it. 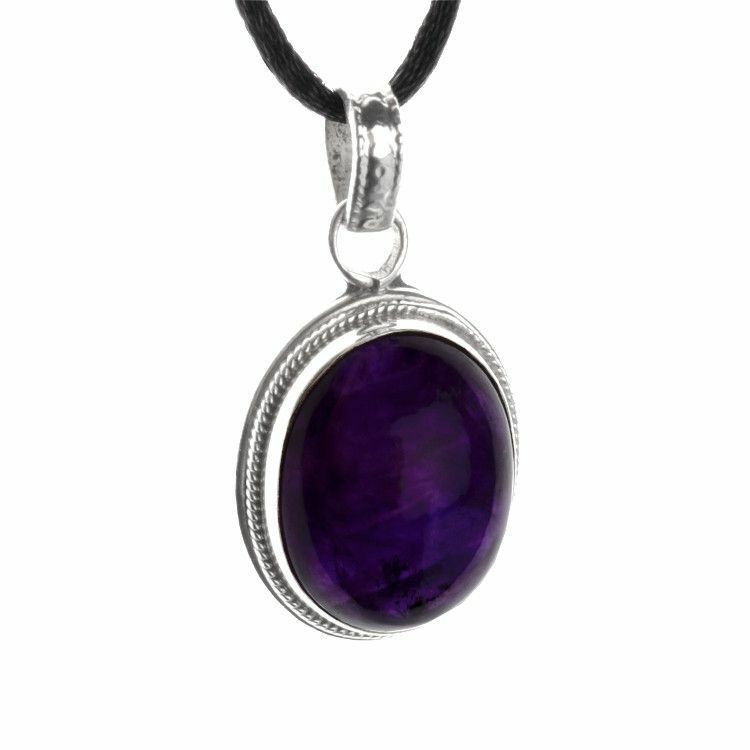 This gift is sure to please anyone receiving it and will be kept in a family from generation to generation.